After a day of layoffs that are expected to claim roughly 4,000 jobs at the newly acquired film and TV divisions of 21st Century Fox, Disney attempted to restore a sense of calm Thursday afternoon by listing several key personnel who will keep their jobs, including Emma Watts, former vice chairman and president of production at Twentieth Century Fox. 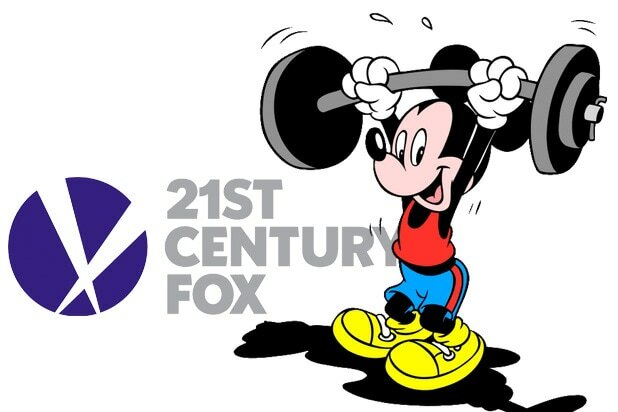 Disney had previously announced some of the people who would make the jump from Fox to Disney, following the company’s $71.3 billion acquisition of Fox’s film and TV entertainment assets, including Watts and Fox Searchlight co-chairs Nancy Utley and Stephen Gilula. Thursday’s announcement, however, provided a more complete look at the new management structure on the Disney lot. Watts, Utley and Gilula will report directly to Disney Studio chairman Alan Horn. Fox Family will continue to be led by president Vanessa Morrison, who will report directly to Watts. The company said that Elizabeth Gabler, president of production of Fox 2000, will come over to oversee the completion of the current slate of films before the studio closes the door on the label. No word on what role she might have at the studio beyond that point. Andrea Miloro and Robert Baird will continue to lead Fox Animation, including Blue Sky Studios, as co-presidents. They will report to Horn along with Walt Disney Animation Studios chief creative officer Jennifer Lee. The rest of Disney’s senior management will remain intact, including Disney live action president of production Sean Bailey, Pixar chief creative officer Pete Docter, Marvel president Kevin Feige and co-president Louis D’Esposito, Lucasfilm president Kathleen Kennedy, Disney Music Group president Ken Bunt and Disney Theatrical Group president and producer Thomas Schumacher. Disney’s communications team will be led by Paul Roeder and Carolyn Wilson will oversee human resources. Disney Animation president Andrew Millstein and Pixar Animation president Jim Morris will continue to report to Disney Studios president Alan Bergman. The news ended a jittery day at Fox, and a long period of uncertainty. The studio’s top executive ranks suffered mass layoffs with longtime studio veterans such as Chris Aronson, Andrew Cripps, Pam Levine and Fox TV president Greg Meidel all getting the call that they no longer had a job. Disney also announced on Thursday who would head up the marketing, distribution and business operations side of the studio. Marketing will be led by president Asad Ayaz. Cathleen Taff will serve as president of Disney distribution, franchise management and business and audience insights. Jeff Miller will lead studio operations, while Bernardine Bradis serves as executive vice president of business affairs and Steve Bardwil leads legal affairs as chief counsel. Paul Shurgot will serve as executive vice president and chief financial officer, and Jamie Voris will serve as senior vice president and chief technology officer. Disney’s labor relations will be led by Robert Johnson. All marketing, distribution and business affairs roles will report to Bergman.